Sophomore guard, Isiah Small jumps for the ball during the tip-off of a game. 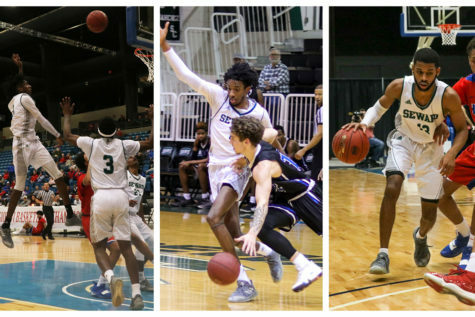 The Saints basketball team made program history during the Dodge City Classic over the weekend. 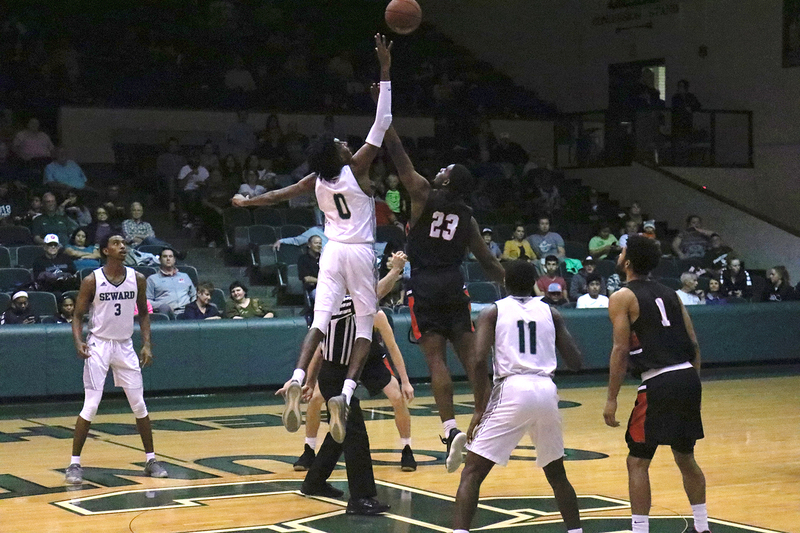 The 124-41 win against Hesston College marks the most points scored in a game since 2015. 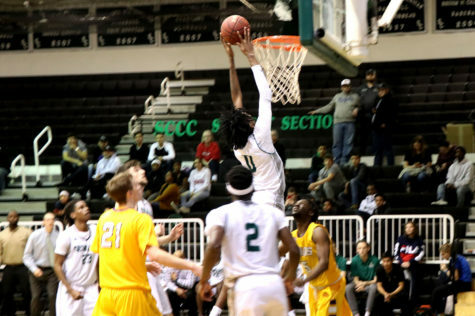 To start the Dodge City Classic, Seward County Community College went up against Hesston College. Hesston proved no match for the Saints as they lead 66-18 to go into the half. 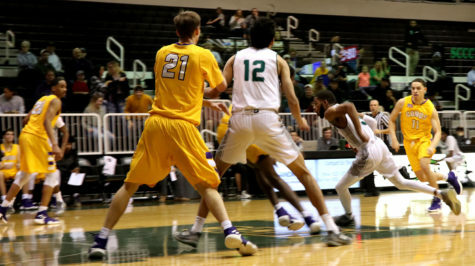 With Seward shooting 62 percent from the floor and almost 50 percent from behind the arc, the Larks were unable to keep up. 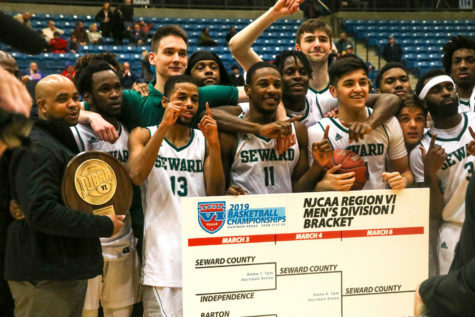 Seward won the game, 124-41. Five Saints scored in double-figures. Sophomore forward, Isiah Small lead the team with 23 points. 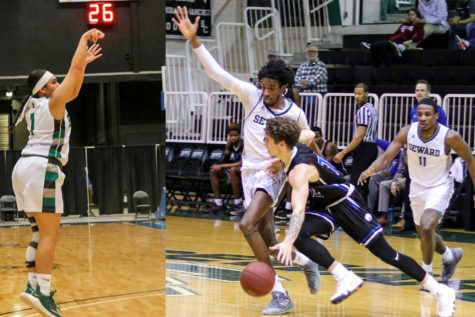 Sophomore guards, Devin Bethely and Hegel Augustin both added 16 points individually; freshman guard, Marco Morency finished 13 points and sophomore guard, Julian Santamaria ended with 12. 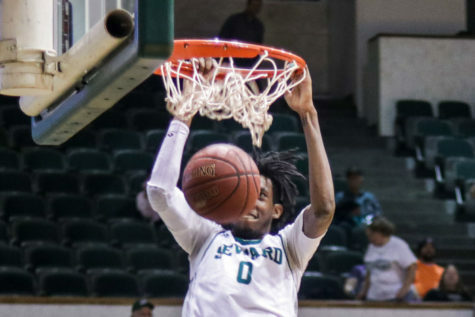 Next, Seward went up against Redlands Community College. With Redlands missing their star player, the win was easy for the Saints as they led 43-22 to go into the half. 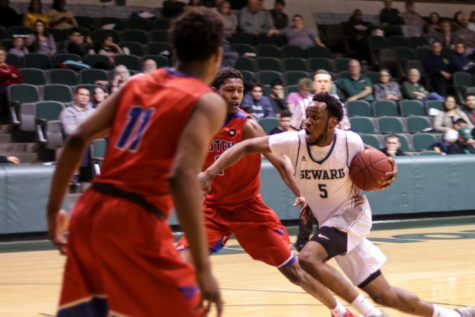 The second half was a scoring spree for Seward as they added 58 points to their score to win the game, 101-48. 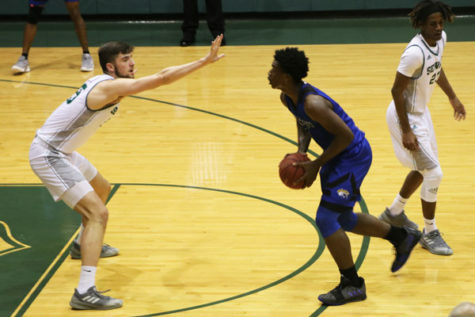 The Saints will play their next game and conference opener on Nov. 28 in El Dorado against Butler Community College at 7:30 p.m.